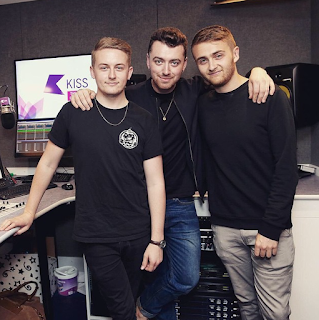 SnapCacklePop: Sam Smith gets Disclosure again..! Sam Smith gets Disclosure again..! Their original collaboration Latch back in October 2013 placed both Sam Smith and Disclosure firmly on the music charts and they have never looked back. This week saw them release another new collabortation named Omen and its just as brilliant as the first and previous single Holding On. The slightly darker and moody single is taken from Disclosure's forthcoming sophomore album Caracal that will feature further emotive dance pop tunes. Check out the video of the new single which is the second out of four that tell a story of future rebel Mariella..! Get you copy of the new single Omen on iTunes now..!